The WordPress weekly photo challenge offers a new theme every Friday. This week it is Names. This photo was taken in San Francisco’s China Town. 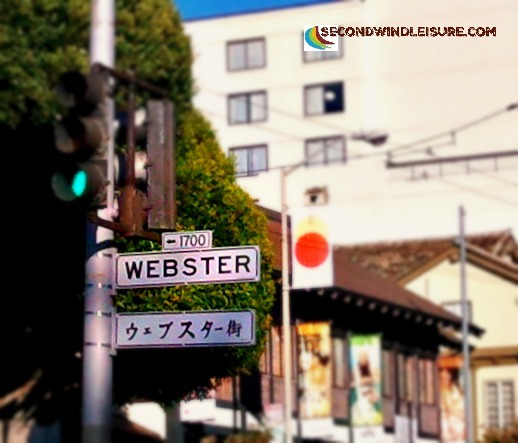 My name: Webster Street, complete with Chinese characters. While in San Diego recently, I used my new camera (its name, by the way, is Panasonic Lumix FZ300) to get these shots of San Diego’s downtown from the Point Loma area, looking east. 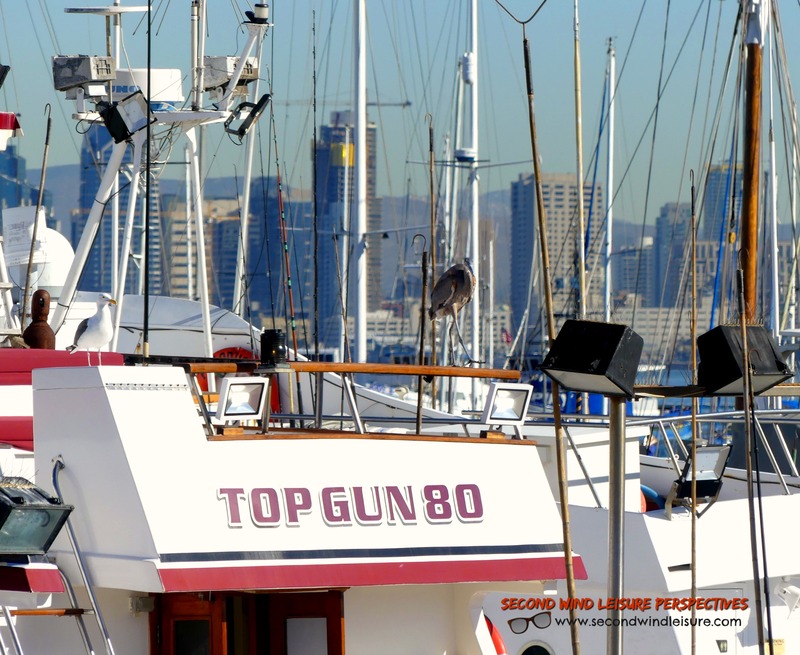 Upon closer inspection, using full zoom, I not only captured a nice boat name for the challenge, but I spied two sea birds in the photo: a seagull on the left, and a heron standing right above the #80. I just noticed this as I was preparing the post for publishing. I told you this camera was fab! 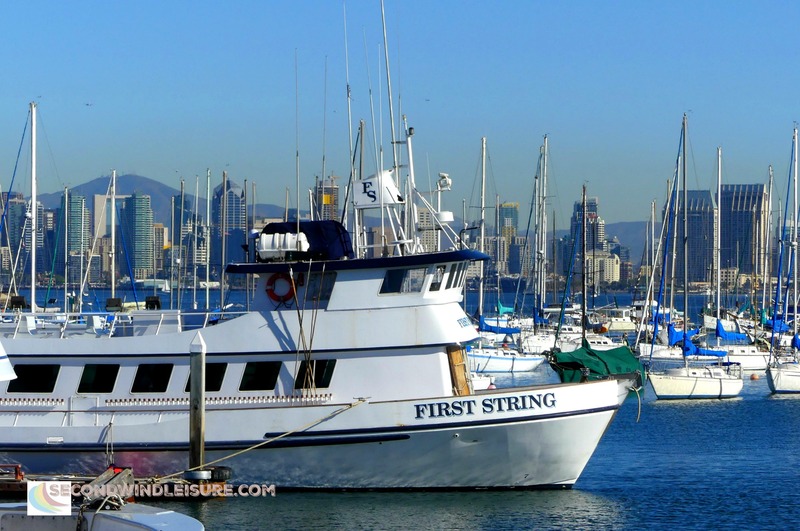 Also in this photo, you see San Diego’s Embarcadero as well as the coastal mountain range in the background. It was a very clear Winter day! A little less closer up is another boat with its name properly highlighted. The background shows us the beautiful downtown with San Miguel mountain in the background. If you don’t focus too closely with your eyes, you can even see a thin layer of smog seemingly hanging over the mountains. Oh well. Since we are on the subject of names, I discovered San Diego was named by someone other than European explorer, Juan Rodriguez Cabrillo OR Franciscan friar, Junipero Serra. I hope you enjoyed the boats and sunshine! Great photos! iPhones take nice pictures, but it takes a “real” camera to be able to zoom in well. It’s been cloudy and rainy here lately – as much as we need the rain, I am looking forward to more sunny days like in your pics. Thank, Janis! Clear skies mean fog here which really means COLD! Haha, thanks for the compliment, Hugh. I saw the ufos, too, lol, but thought I cropped them out. And I didn’t even notice the birds until post editing. I can see your brain thinking of a short story for this! I guess my camera has more tales to tell! Yes, many of my stories have come from looking at photos. So what are those tiny objects, Terri? Hmm, they MUST be birds…or…? Drones. This came up in our news in the UK today, Terri. I loved the sunshine, Terri. I haven’t seen the sun this week, so thank you very much! It looks as if you are enjoying your new Lumix. The pictures are excellent. I love these photos, Terri. Your new camera sounds wonderful. Thanks again for sharing another great weekly challenge!